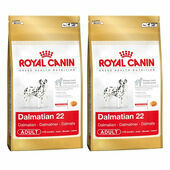 Due in part to their large, imposing stature, Great Danes require very different nutrition to a lot of other dog breeds. 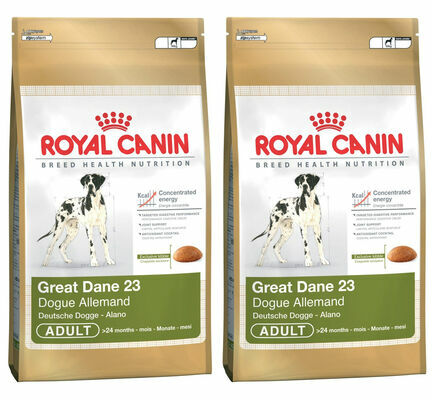 Because of their unique physical demands, Royal Canin have created their Great Dane 23 Dry Adult Dog Food with the assistance of professional vets and pet nutritionists. 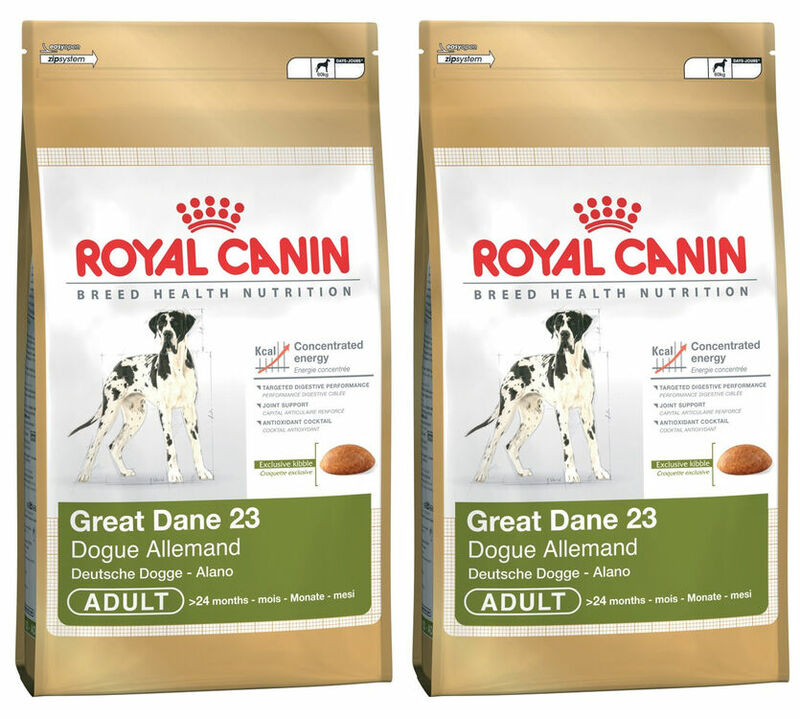 Great Danes have a greater pre-disposition to digestive sensitivity than many other dog breeds, which is why Royal Canin Great Dane 23 Dry Adult Dog Food is made using ingredients that are not only easy-going on the stomach and intestines, but also actively support the function of the digestive tract. 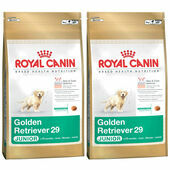 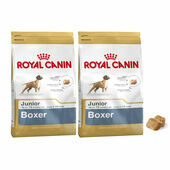 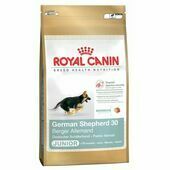 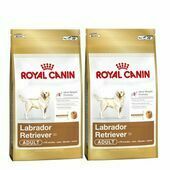 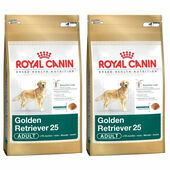 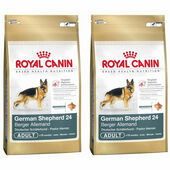 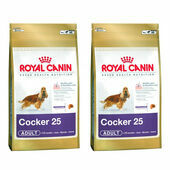 To ensure that the food they eat is gotten the most out of, the daily recommended amount of this Royal Canin dry dog food is best served over a minimum of two meals. 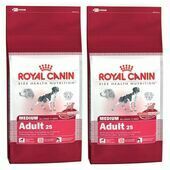 Doing this will greatly reduce the risk of Great Danes developing gastric dilatation-volvulus, as will the fact that the kibble that makes up this dry food encourages dogs to chew their food properly. 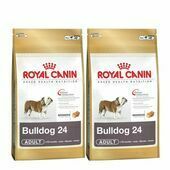 Ingredients: animal fats, tapioca, dehydrated poultry protein, vegetable protein isolate*, maize flour, rice, hydrolysed animal proteins, minerals, vegetable fibres, fish oil, beet pulp, yeasts, soya oil, hydrolysed yeast (source of mannooligo- saccharides), hydrolysed crustaceans (source of glucosamine), marigold extract (source of lutein), green tea extracts (source of polyphenols), hydrolysed cartilage (source of chondroitin).